MOSCOW, September 1. /TASS/. 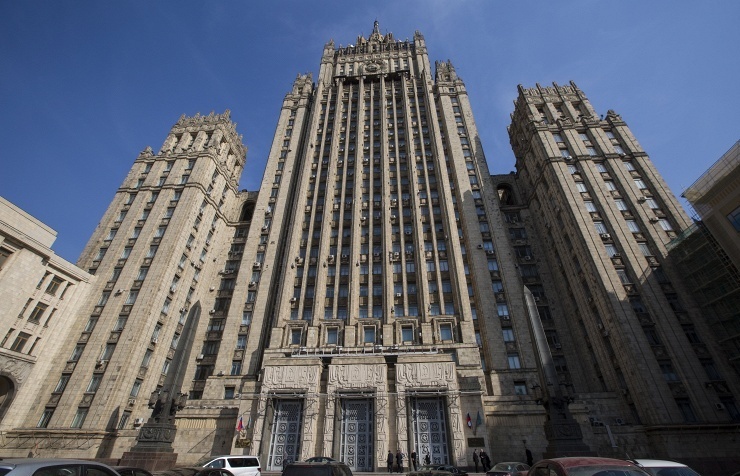 Moscow considers compliance with the "silence regime" in Donbas as an important step in implementation of the Minsk Agreements, the Russian Foreign Ministry said Tuesday. Earlier Tuesday, the Contact Group on settlement in Donbas held a meeting in the format of a video conference with participation of representatives of Donbas, the Joint Center for Control and Coordination (JCCC) of the ceasefire regime in east Ukraine, as well as the Special Monitoring Mission (SMM) of the Organization for Security and Cooperation in Europe (OSCE), the ministry recalled. The meeting was designed "to fix the results of implementation of an agreement on cessation of fire in connection with the start of a new academic year, earlier reached by the sides". "Participants of the Contact Group’s meeting have stated a consistent reduction of the number of violations of the ceasefire regime starting from August 28, and their absence on September 1 as of 12:00 p.m. Moscow Time. With account for that, the common opinion on the importance of further preservation of the silence regime was voiced," the ministry said. The Russian side "considers the event as an important step regarding implementation of relevant provisions of the Minsk Agreements of February 12 and intends in that connection to keep making all required efforts to achieve peace settlement in Ukraine matching the interests of all its nationals," it said. On September 4, the Contact Group will gather again "to consider the course of implementation of the above-mentioned agreement," the Russian Foreign Ministry said. Massive shelling of residential neighborhoods, including with the use of aviation, has killed thousands and led to a humanitarian disaster in east Ukraine since Kiev in April 2014 announced the start of an "antiterrorism operation" there. Ukraine has regularly violated the ceasefire regime imposed as part of the Package of Measures on implementation of the September 2014 Minsk Agreements. The Package (Minsk-2) was signed on February 12, 2015 in the Belarusian capital Minsk by participants of the Contact Group on settlement in Donbas. The Package, earlier agreed with the leaders of the Normandy Four (Russia, Germany, France and Ukraine) envisioned an overwhelming cessation of fire and withdrawal of heavy armaments to create a security area in the region at least 50 kilometers wide. The constitutional reform and decentralization of power in Ukraine were also among the document’s key provisions, just as establishment of working subgroups. Unlike the past few days, earlier - in the past few weeks - the situation in eastern Ukraine deteriorated, with the number of reports on shelling and civilian deaths increasing. The Donetsk and Lugansk people’s republics have repeatedly said that the observance of the ceasefire that took effect February 15 depends solely on the Ukrainian side.